This Sunday it’s a blessing to be featuring Manohar Devadoss, Chennai’s iconic artist, author and story-teller!! Being Manohar Devadoss is not easy. He’s 79 now. And blind. He was married to his love Mahema for 45 years. She passed away in 2008. 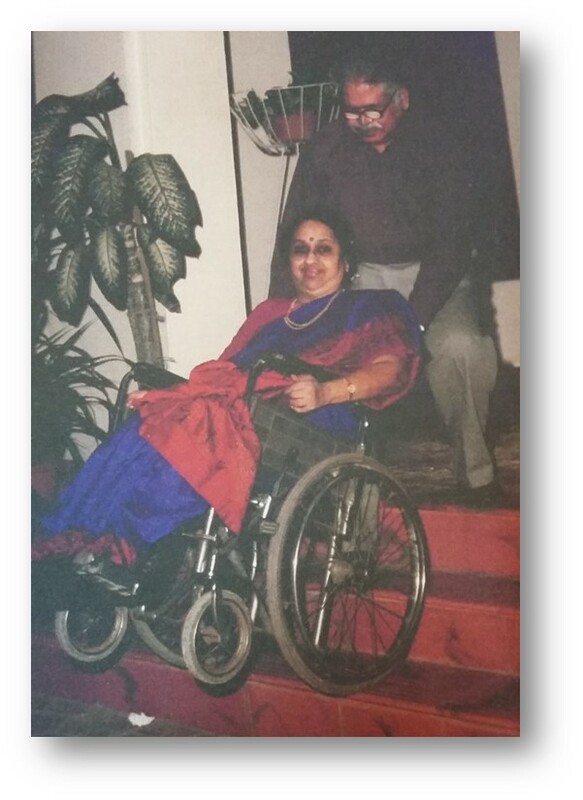 Of these 45 years, Mahema was a quadriplegic – devastated by an accident in December 1972 – for 35 years. 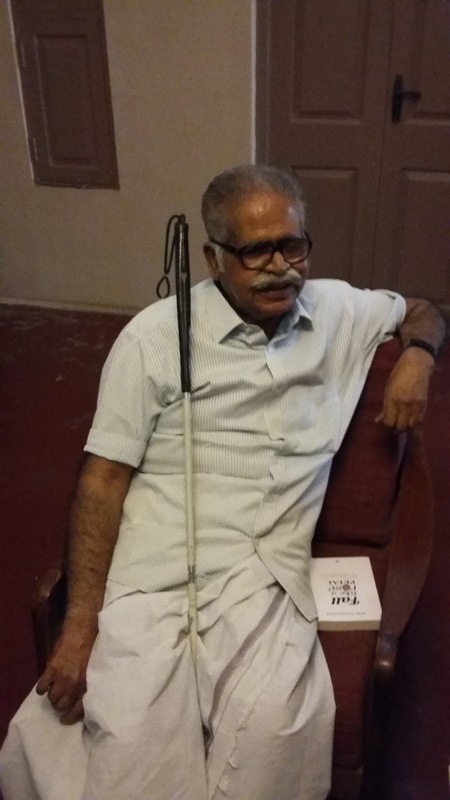 And Mano, who began to have progressive, degenerative eyesight around then – leading eventually to total blindness – cared for Mahema for all those 35 years. If Shahjahan built the Taj Mahal for his beloved, Mano ensured – though his love for her, his compassion, his practical thinking, his toiling – that Mahema lived through those 35 years, unable to use her limbs, without a single bedsore! He also anchored himself to stay strong, alongside Mahema, as they raised their beautiful daughter Sujatha in the midst of their individual, physically debilitating, conditions. 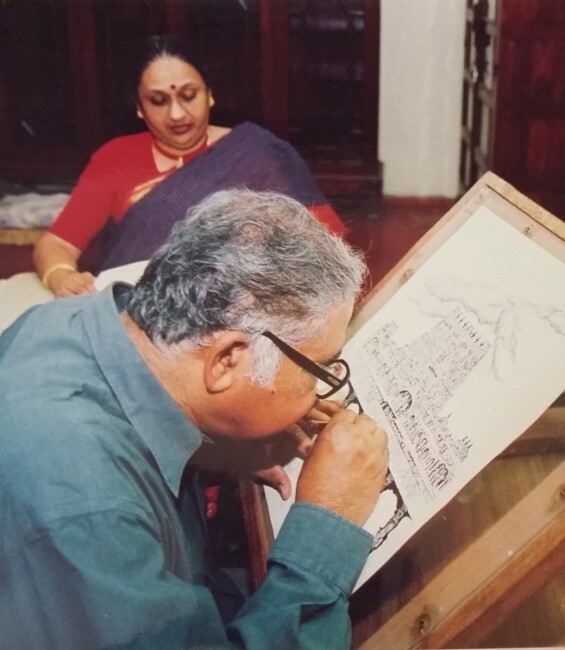 Despite such a challenged Life, spanning over 50 years, Mano has immersed himself in his art – he has drawn sketches of several temples and chronicled the architecture of his favorite city Madurai; his ink drawings on a heritage series of greeting cards are still a huge draw! 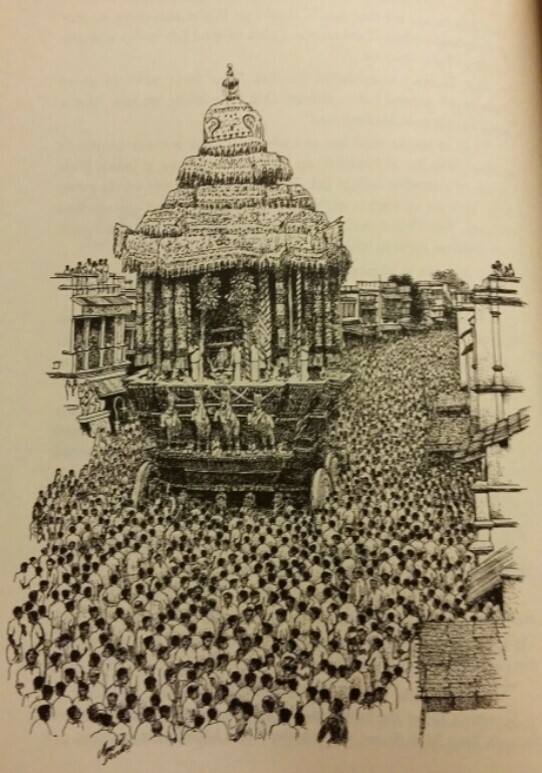 And he has written books – two on Madurai and several on Mahema. Most important, he has always been not just resilient, but has been – and is – happy. You will never find Mano “moping and mourning”. You will only find him smiling beneath his thick moustache, from ear to ear, as he gives you his fullest attention, even while not being able to see you. Which is why I say, being Manohar Devadoss is not easy. I ask him how he makes a lifetime’s hard work of accepting and living with adversity so easy – so inspiring. Sure. One should learn laughing at oneself from Mano! 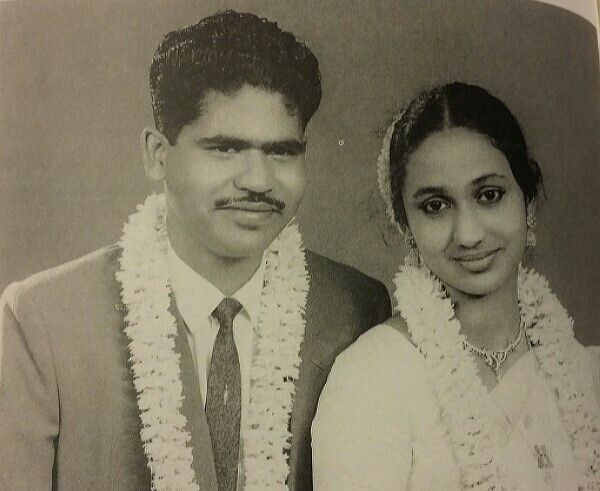 On their 36th wedding anniversary, on December 27th, 1999, Mano gifted Mahema and himself a pair of rusted dumbbells. When Mahema looked on quizzically, Mano said, “You weigh like a sack of potatoes. My back is giving up. In order to lift and move you several times in a day, I need to strengthen my biceps. So, I thought this would be the best gift for us.” He recalls Mahema laughing unstoppably! But Mano went to work on his biceps – working over 700 lifts of the 12.5 kilo dumbbells daily! Result: during the next 9 years that Mahema was alive, Mano never had a back problem!! He says, “Here was a situation. Mahema was unable to move. I was unable to see. But I needed to make sure she was moved around painlessly. I was past 60 – not exactly young – and with a back condition. I had to think practically. I had to find a creative way to stay fit. Besides, working out is a happier way of dealing with a challenge than complaining about a bad back!” “In fact, later on, I would remark to Mahema that she wasn’t weighing like a sack of potatoes anymore, she weighed just as much as a basket of flowers would!” he adds, laughing heartily. It’s hard for me to describe what I feel for the man in front of me. He’s personally tossed up a special salad – with lettuce and walnuts in a fresh home-made mayo dressing – that he calls “Tulsania”. 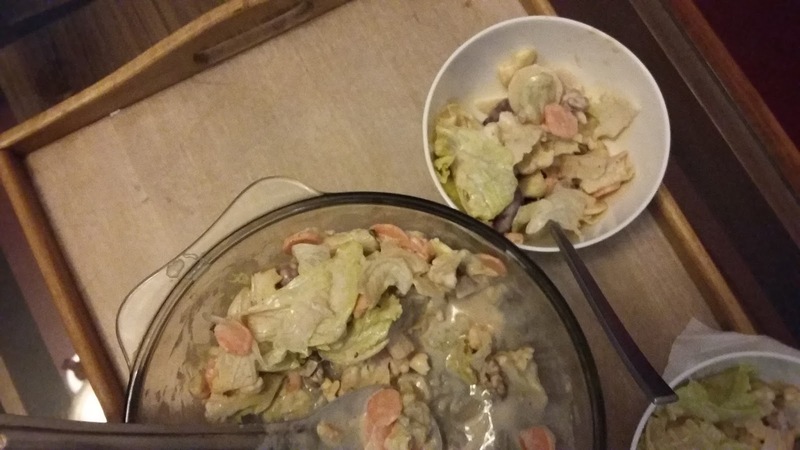 He’s gone to the grocer’s in the morning to shop for the salad. He insists that his helper at home whips up an apple milk shake – “with very little added sugar” – for Vaani and me. Looking at the way he is, the way he cares for you, the way he goes about his Life, you can’t say this man’s been through so much. He’s seen so much pain, so much stress, so much constraint, all through his Life. And yet he has the ability to laugh? So truly, genuinely, happily? I conclude that I don’t feel sorry for him. I feel love. I feel compassion. Mano’s Life is not just inspiring. It is awe-inspiring. You will not find Mano philosophical. You will not find him preachy. You will not find him extra-ordinary. You will not find him depressed – never. He’s the perfect embodiment of Zen which teaches us to live Life simply accepting what is – “when hungry eat, when tired sleep”. That’s why I say, being Manohar Devadoss is not easy. But through the way he has lived his Life he shows us that being happy is easy. Mano’s secret of happiness could possibly be this – accept the situation, think practically, be creative and laugh – at Life, at your situation and at yourself!